Ever wonder what extra judicial settlement is really all about ? Have you ever thought about the hows, the whys, the whats, and the wheres about this particular issue ? For us real estate brokers, this is an issue that comes every so often in a sale however, amongst transactions that have cases, this is mostly the issue ! 1) What happens when one’s parents pass away unexpectedly ? Initial reaction could either be shock, grief or sadness, then you wonder what’s next, who do you call, your siblings, relatives, doctor, neighbor, insurance agent, funeral parlor, lawyer or police. 2) After the above, reality steps in : funeral expense, doctor’s expense, hospital expense, and other personal matters left behind by the deceased that needs to be addressed ? 4) Then the real color of people ( siblings, ex-wife, illegitimate children specially those “unknown”, other relatives who claim to be an “heir” ) comes out ! Who gets what, and who determines the sharing ? Believe me, this part is something that’s both frustrating and exhausting as it could lead to years of litigation. 1) Grandfather passed away 15 years ago and the Title of the property which is a ten un unit apartment unit has never been transferred. There are three siblings, one has passed away a way, one is married with three children and the other sibling was divorced and has now remarried. Sec. 1. 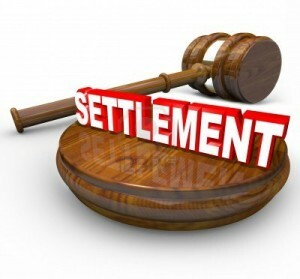 Extrajudicial settlement by agreement between heirs. – If the decedent left no will and no debts and the heirs are all of age, or the minors are represented by their judicial or legal representatives duly authorized for the purpose, the parties may, without securing letters of administration, divide the estate among themselves as they see fit by means of a public instrument filed in the office of the register of deeds, and should they disagree, they may do so in an ordinary action of partition. If there is only one heir, he may adjudicate to himself the entire estate by means of an affidavit filed in the office of the register of deeds. The parties to an extrajudicial settlement, whether by public instrument or by stipulation in a pending action for partition, or the sole heir who adjudicates the entire estate to himself by means of an affidavit shall file, simultaneously with and as a condition precedent to the filing of the public instrument, or stipulation in the action for partition, or of the affidavit in the office of the register of deeds, a bond with the said register of deeds, in an amount equivalent to the value of the personal property involved as certified to under oath by the parties concerned and conditioned upon the payment of any just claim that may be filed under Section 4 of this rule. It shall be presumed that the decedent left no debts if no creditor files a petition for letters of administration within two (2) years after the death of the decedent. The fact of the extrajudicial settlement or administration shall be published in a newspaper of general circulation in the manner provided in the next succeeding section; but no extrajudicial settlement shall be binding upon any person who has not participated therein or had no notice thereof. 2. The decedent has no debts or his debts have been fully paid. 3. The heirs are all of legal age or the minors are duly represented by their judicial or legal representatives. 4. A public instrument is duly executed by the heirs and filed with the Register of Deeds. Extrajudicial settlement of estate is often recommended to expedite the transfer of properties of the decedent to his heirs. This is in view of the fact that judicial settlement of estate takes years before the case is concluded. Furthermore, this is more adversarial and is resorted to when the heirs disagree on the properties to be partitioned and the corresponding shares of the respective heirs. 5. How the properties shall be divided amongst the heirs. 6. Posting of a bond if there is personal property involved. 7. Undertaking that the Deed will be published in a newspaper of general circulation once a week for 3 consecutive weeks. It must be noted that the Deed of Extrajudicial Settlement must be published in a newspaper of general circulation once a week for 3 consecutive weeks. Kindly consult with the Register of Deeds where the property is located for the listing of these newspapers. Before filing the Deed of Extrajudicial Settlement with the Register of Deeds where the land is located, it is necessary that the estate taxes be paid first. Under Philippine laws, estate tax is defined as a tax on the right of the deceased person to transmit his estate to his lawful heirs and beneficiaries at the time of death and on certain transfers, which are made by law as equivalent to testamentary disposition. According to the Bureau of Internal Revenue, estate tax is not a tax on property but rather imposed on the privilege of transmitting property upon the death of the owner. 2. The Philippine Embassy or Consulate in the country where decedent is residing at the time of his death. Furthermore, the estate tax shall be paid at the time the return is filed. However, upon request and if the Commissioner of the BIR finds that payment on the due date of the Estate Tax or of any part thereof would impose undue hardship upon the estate or any of the heirs, he may extend the time for payment of such tax or any part thereof not to exceed five (5) years, in case the estate is settled through the courts or two (2) years in case the estate is settled extra-judicially. If an extension is granted, the BIR Commissioner may require a bond in such amount, not exceeding double the amount of tax, as it deems necessary. The estate tax is based on the value of the net estate as follows: ( This was the old computation, ESTATE TAX has been lowered to 6% effective January 2017 however, Tax Amnesty for deaths prior to this date will be implemented by first quarter of 2018 as of this writing. The basis shall be the net estate. That means that there are allowable deductions on the estate. These deductions include funeral expenses, share of the surviving spouse, medical expenses incurred by the decedent within 1 year prior to his death, family home deduction of not more than P1,000,000.00, standard deduction of P1,000,000.00, among others. It is best to consult with an accountant on this matter to determine the accurate estate tax. Other documents may also be requested by the Bureau of Internal Revenue. After the estate taxes have been paid, the heirs may proceed to the Register of Deeds where the land is situated. If the Register of Deeds would allow it, the filing with the BIR and Register of Deeds may be simultaneous. The proof of payment of the estate tax, Affidavit of Publication of the Deed, the Deed of Extrajudicial Settlement of Estate are the basic requirements to be submitted to the Register of Deeds. When all pertinent documents are submitted, the Register of Deeds will correspondingly issue the Transfer of Certificates of Title to the proper heirs. On a final note, it must be borne in mind that the extrajudicial settlement can be nullified if it was done in fraud of creditors or other rightful heirs. Furthermore, this can open the erring heirs to criminal liabilities. Visit www.robertgsarmiento.org for blogs, news, case studies, updated rulings and property listings which you may find informative. View properties you are looking for by using the search engine, “BROWSE LISTINGS” ( on the middle right hand corner of the webpage ).